Literature: 500 numbered copies produced. Numbered 260/500 on verso. 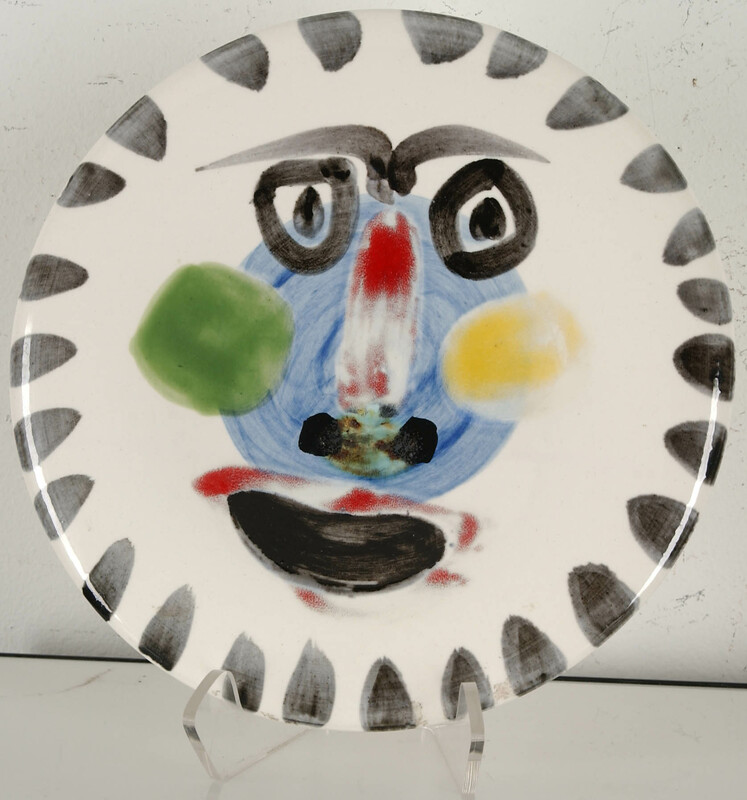 Authentic replica white earthenware clay, decoration in engobes and enamel under glaze; black, blue, green, red and yellow. Alain Ramie, Catalogue of the edited ceramic works, #495.